I refer to the Malaysiakini article Fire on the roof of the world. I am quite alarmed at China’s response to protests held in Tibet and surrounding regions. Daily we see protests about it along the Olympic torch run, and I wonder why we don’t hear more protests here in Malaysia. The Olympic games lend an excellent opportunity for the world to pressure China to do better in its treatment of others. Some say that such a move is politicising the Olympic games when they are only about sport. But I beg to differ as there has always been a political element in the games. That’s why countries fight so hard to host them; so that they can show off their might and economic wealth on the world stage. That’s why these games mean so much to the Chinese government today. From the moment they were granted the right to host the games, it has been a political issue for them. It’s not really about having a good natured contest between countries. It’s about showing off economic clout, national power and glory. Good sportsmanship, peace and harmony are a very distant second. It’s China’s coming out party and they don’t want anyone to rain on it. If China continues to go down the path of repression and violence, I don’t believe I can honestly turn on my television set and watch the games. It would be like taking part in a glamorous party while crowds of people outside are beaten, jailed and tortured. It simply sickens me that we can go on with these games as if nothing is happening. Which to me is giving China the message that it can continue to have it’s cake (persecuting others or support persecution) and eat it too (world influence and ascendancy). It’s as though that many countries and athletes in the world are saying that it doesn’t matter how China conducts itself as a nation, we will continue to support them and applaud them. I sincerely hope that heads of state will boycott the opening and closing ceremonies and that athletes will take a stand and not participate in the games. It’s definitely a sacrifice on their part, but it sends a strong and clear message that human life is valued above fame and glory. If there are other ways to apply pressure, then we should do so. Nothing will change unless there is some pain on the part of the Chinese government. A loss of ‘face’ along with economic pain just might be the catalyst to make a difference in the lives of those who face persecution daily. I used think it was a mistake that China was given the chance to host the games, now I believe it’s a golden opportunity for world to make a difference. If we miss this opportunity, it frightens me about what things China might demand of or take from the rest of the world as they gain more economic and military might. I’m not so sure I want a country like China to become a world power if they continue to believe that they don’t have to shoulder any of the responsibilities that come with being a world power. Do we really need another world power with the potential to abuse the rest of the world? Judging from some public commentaries and private conversations among Malaysians of Chinese ethnic persuasion on the issue of Tibet, more than a few of them have embraced the monolithic narrative of the People’s Republic of China (PRC) hook, line, and sinker. According to them, the Tibet upheaval is a matter of law and order, a series of riots by criminal elements among the local ethnic Tibetans who have been organised, trained, supervised, and probably funded by the Dalai Lama’s government in exile. In this tale, the Dalai Lama is en evil liar who would stoop so low as to tarnish the image of the Beijing Olympics just to further his cause of independence for Tibet. This official narrative will also accuse ‘Western media” like the BBC and the CNN of trying to spread lies throughout the world about the PRC and the Tibet issue, in order to give their political masters a leverage over the PRC in all kinds of international negotiations. Meanwhile, the whole media machinery in the PRC from the official Xinhua News Agency, the People’s Dailies, to the various CCTV stations will bombard the international airwaves with the real “facts” about China and Tibet. Why many Malaysian Chinese will embrace such an account so uncritically is curious in itself, but that is not my concern for the moment. My central question is this: how are we going to make sense of the Tibet issue at all? First, we must have a standpoint, a perspective from which we can examine the whole controversy. I suggest we have to forget for the moment that we are members of any ethnic community, and forget that we may have cultural, historical, or even social relation with any nation-state of the world. This would be after the fashion of what John Rawl’s would call his “veil of ignorance”. When we look at China thus, we find a member of the international community of nation states, fast emerging as the third largest economy of the world, with military strength to match its economic prowess, and with obvious aspiration to become a top-notch superpower of the world. The Beijing Olympic Games is their proud coming-out party. We also find a one party state with hard totalitarian rule by the Chinese Communist Party (CCP) over her 1.2 billion citizens. Like all totalitarian one party states past and present, the ruling party is equated with the government and the state. Naturally, any criticism of the government or the ruling party is regarded as an act of treason in China. As I write, news has just reached us that the dissident Hu Jia has been sentenced to three and a half years in prison. His crime consists of giving interviews to foreign press and publishing a few articles purportedly criticising the government. It is an understatement to say that there is little freedom of expression in the PRC. Strict censorship and the ubiquitous secret police are probably the norms. Patriotic Chinese nationals and their sympathisers in the global Chinese Diasporas may argue that human rights and freedom of speech are not what China needs. They may further posit the view that given the convoluted historical background of modern China, their large territory, and their very complex demographical composition, they need a strong centralised government to hold everything together. The benevolent dictatorship of the CCP is the key to the economic miracle of the PRC in the last three decades. That may, or may not, be entirely true. It does not seem that this argument can be true for eternity. But I would not get into an argument about this point, yet. One obvious difficulty with the lack of freedom of expression in China is both immediate and critical on the issue of Tibet though. With no alternative or independent media reporting from Tibet, how are we going to verify or falsify the Chinese official version of what has happened in that relatively isolated province sitting on top of the roof of the world? Unlike passionately patriotic Chinese citizens and their sympathisers throughout the global Chinese Diasporas, people like me around the world cannot take the words of any government in any country on their face value on mere trust alone. There must also be many people like me who subscribe to some notion of natural fairness. In any quarrel, wither between two neighbours, or between any government and some of their people, the views of both contending parties must be given equal time and equal space in the media. The party accused of wrong doing must then enjoy their natural right for full reply in their self-defence. That the media is dominated by the ruling BN coalition in Malaysia is the reason why I and my friends in Malaysiakini have been labouring and chiselling away at this bamboo curtain of unfair reporting. If the newly formed Pakatan Rakyat turns out to be as bad as the BN, I am sure we will also criticise them without fear or favour. In the case of the Tibet crisis, is it not a little strange that we have heard nothing at all from those parties allegedly doing the public protests and the rioting? Is it not strange that even when a group of foreign media organisations were invited to a guided and rigidly orchestrated tour of Tibet recently, monks were still risking their lives to scream for justice for Tibetans in front of foreign cameras? If you want to find out the other side of the story, you can go to the internet, and simply type “Tibet” on http://www.google.com. There you will find other versions of the Tibet story, especially events leading to the escape into exile of the Dalai Lama in 1959. On March 12, 1959, when protesters marched through the streets of Lhasa, demanding Tibetan independence from Chinese rule, Chinese troops moved in. According to the Office of Tibet in London, 86,000 Tibetans were killed that day. In the days that followed, thousands of monks were executed or arrested, while many monasteries and temples were destroyed. The overseas Tibetan websites also give many accounts of the intervening decades since then describing how the mass migration of Han Chinese into Tibet has made the Tibetans a minority in their homeland. They have described how the PRC efforts to assimilate ethnic Tibetans into the Han culture have endangered their ancient religious, social and cultural legacies. These stories are the other side of the Tibetan coin that we hear so little about. They may or may not be entirely true, but they give us balance in our view of the current situation in Tibet. They raise the question of whether the Tibetan disturbances in recent weeks are riots or rebellions. They raise doubt that perhaps the disturbances there are not merely criminal acts threatening law and order, but courageous acts of political statement. Meanwhile, we have the Dalai Lama declaring that he is not seeking independence of Tibet from Chinese rule. Rather he is hoping for some degree of autonomy. He has repeatedly requested for some kind of dialogue with the Chinese government, but they seem to have brushed aside this proposal with a great show of contempt. All along, the Dalai Lama has propagated his idea of non-violence in this political impasse. He is much respected outside China. Why, he has been awarded a Nobel Peace Prize, and of all things Western, the Nobel Award is one of the more credible institutions to the non-Chinese world. To paint him as the head of a terrorist organisation may work in the closed society within the PRC, but such demonising propaganda is a little hard for me to swallow. The ocean of official statements and public opinions issuing forth from Mainland smacks of Cold War rhetoric. Their tone and the argument are coarse, displaying a kind of outdated worldview that borders on the hegemonic. Lastly, there is this argument about Tibet being the internal affair of China, and the outside world has no business pitting their nose where it does not belong. I am thinking of the holocaust in Germany during WWII. Could the Nazi regime then also make a similar claim, morally? The hard fact is that we live in an inter-connected world. China is gaining influence on the international stage. The Chinese political-economic juggernaut is spreading its wings to all parts of the developing world, scouring the globe for precious fuel and natural resources to satisfy its ravenous hunger for economic growth. China may have looked like a First World nation in her cities like Shanghai and Beijing. But under the veneer of modernity in the coastal developed provinces, China has not yet stepped over the threshold of a Third World nation, if the handling of the Tibet crisis is anything to go by. Dear Malaysiakini, reporter and Malaysiakini readers, please may all of you kindly allow me to dream as if this event is about Burma, Burmese researcher writing a book on Myanmar Military e.t.c.. I have dreamt about having an interview with DSAI and wrote more than half a dozen of articles on that subject. Please, kindly allow me to continue to dream on . . . Modified and edited the news, “Author: Help, not crush, Umno” by Soon Li Tsin in the Malaysiakini . I have edited and adapted to the Myanmar context from the original news article. I hope that Soon Li Tsin and Malaysiakini could understand and forgive us for this. They should even be proud that they could contribute a very good article for the fellow Myanmar/Burmese citizens. Author and academician Dr Ooi Kee Beng said Myanmar Military should be assisted (to reform) and not crushed in its attempt to reform itself. Launching his book entitled ‘Lost in Transition: Myanmar under Military Dictatorship’ yesterday, Ooi (photo) expressed concern over the future of Myanmar Military which may resort to fascism. “Myanmar Military is like (Taiwan’s) Kuomintang (KMT) and other parties in the region who were responsible for independence and a lot of these parties had to reform itself like the KMT – a once dictatorial party is a totally a new party today with the same name. “It is not given that if Myanmar Military reforms itself, it would reform like how KMT did – meaning liberalize and play the democratic game. Fascism is always close at hand. “We don’t want that to be encouraged. We should work to not crush Myanmar Military but help it along in its reforming process,” he told the audience. The book is a compilation of articles written by Ooi – who is a fellow at the Institute of South East Asian studies in Singapore – on SPDC Myanmar Military Junta’s governance in the last twenty years. It is a follow up to his 2006 book, ‘Era of Transition: Myanmar After General Ne Win’ which analysed Myanmar Military and tests faced by SPDC Junta Senior General Than Shwe after taking over his predecessors General Ne Win and General Saw Maung. Asked to explain the message in his new book, he said: “It was what I felt when I put the book together at the end of last year, that something very important was lost. “There was hope that Myanmar could develop itself in a proper manner and we were actually already on the slippery slope and we did not see any force that could stop it,” he described. During the panel discussion, Centre for Public Initiatives Director Dr Lim Teck Ghee highlighted two main challenges for Sr General Than Shwe in light of the recent Safron Revolution and the alleged internal feud currently taking place in Myanmar Military. “One that is most crucial is that he has to battle and isolate the extremists elements within Myanmar Military and its many faceless supporters in the Kyant Phut, Swan Arrshin, ex-Military associations, the civil service and the Myanmar community. “These are elements that are paved with revenge – launched in a campaign that is sometimes quiet and sometimes quite loud – racial-baiting and incitement,” he explained. “(The) second challenge is to move firmly and quickly on building a good working relationship with the NLD, Ethnic Minorities, Religious Minorities and together in taking on the scourge of corruption,” he added. The former World Bank economist noted that Myanmar Military Generals should declare their assets, introduce policy reforms and a merit-based system in order to change the country’s economic performance. “In theory these they should lead the way to an economic revitalization for Myanmar. The Military and ex-military (U Paine) hold more than 60 per cent of the gross national product (GNP). Investors all over the world place importance on transparency, accountability and efficiency, once they could form an Interim Government with the Daw Aung San Suu Kyi led opposition.” he said. 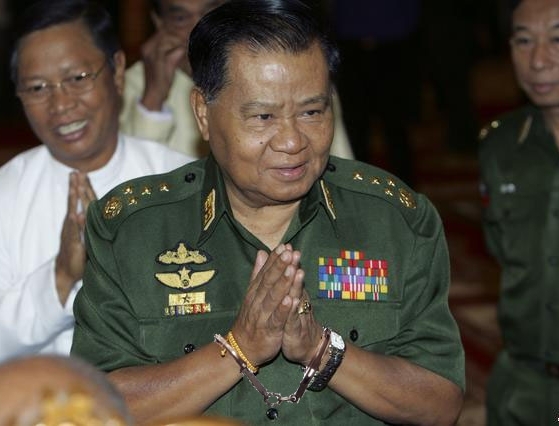 However he warned that the Myanmar Military can derail the true democratization by using military and its affiliated associations’ machinery, state funding and the civil service to play the “revenge, obstructionist or spoilers game”. “I’m worried. So far the Myanmar Military has used it’s military apparatus and resources and are bent on punishing the opposition as we’ve seen from the 8888 Revolution, Depayin Massacre and Saffron Revolution to the arresting of Daw Aung San Suu Kyi led NLD leaders, Ethnic Minority leaders, 88 Generation Student leaders, monks and unarmed protesting civilians” he said. Meanwhile, Ong said he would deliberate on setting up the fair and square, truly democratic election system despite calls from the opposition to boycott it. Lim was joined by Malaysiakini’s editor-in-chief Steven Gan and Ooi during the panel discussion. The book launch was officiated by UN Secretary-General Ban Ki-moon and was attended by about 8888 people. Chinese Premier Wen Jiabao said China’s response to the protests in Tibet has been restrained. Pedestrians walk past shops damaged by fire in the Tibetan capital of Lhasa. A video image of Chinese police carrying out door-to-door searches in Lhasa. China has been hoping to boost its image in the eyes of the world as it gets ready to host the Summer Olympics in Beijing, but the Chinese government’s crackdown on protesters in Tibet is not helping. What began a week ago as mostly peaceful protests by monks has spiraled into violent clashes, with Tibetans attacking the Chinese and burning their businesses. The Chinese government is now vowing to protect its territory and issued a midnight deadline that’s now passed for protesters to either surrender or face harsh consequences. There are reports of Chinese authorities parading handcuffed Tibetan prisoners in the capital of Lhasa. Chinese police are going house-to-house checking id cards and residence permits. 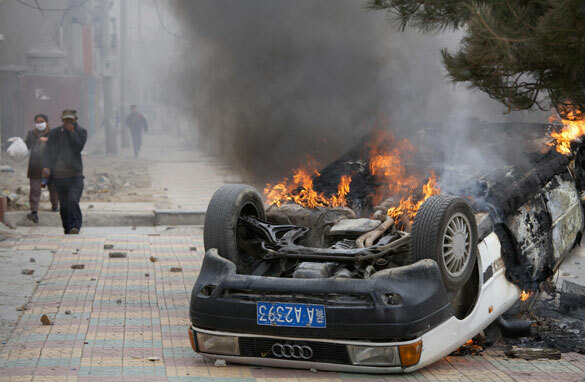 The Chinese government puts the death toll at 16, with dozens injured. But the Dalai Lama’s exiled government says 80 people have been killed. Meanwhile, the protests that started in Tibet have spilled into three neighboring provinces and even to Beijing. And sympathy protests are also going on around the world. China insists the violence won’t harm the upcoming Olympic games. The U.S. has called on China to show restraint. Olympic officials also say they are opposed to a boycott because of the violence in Tibet. Here’s my question to you: Should countries boycott the Olympic Games in light of China’s crackdown on protesters in Tibet? It’s a travesty. We stomp around the world fighting for freedom except when the offender is someone like China, whose money we desperately need. The world should rise up and boycott everything Chinese until the people of Tibet regain their freedom. These are the most peaceful people on earth; they should be role models for all of us. They deserve better. I remember in 6th grade participating in a school debate over boycotting the 1980 Olympics in Moscow. I supported that boycott, but today’s world is different, as is my opinion. Go to China, enjoy the games, and take your digital cameras. The citizens will be putting on a display for you. Send your pictures to CNN. Don’t get caught. Sunshine in China may be the best thing to happen to them. If you want to boycott something to really hurt China, stay out of Wal-Mart. Yes, boycott. China reminds one of Germany in the 30s. Will our people be safe there? And will the judging be fair even if we do attend? Hit them economically, which is what a boycott would accomplish. Given Guantanamo, rendition, Abu Ghraib, waterboarding, etc., the U.S. is hardly in any position to lead a human rights boycott of the Olympics. Boycotting will be a late and inadequate reaction. Allowing China to have the Olympics was the big mistake, especially since it was already known that the Chinese government is a human rights abuser and cruel regime. The violence in Tibet simply highlights what was already known. I would rather see our athletes wear “Free Tibet” T-shirts in Beijing during the opening ceremony. Oh Mao goodness. I hope Malaysiakini and Seethalakshmi Suppiah could understand and forgive for this. They should even be proud that they could contribute a very good letter for the fellow Myanmar/Burmese citizens. We are familiar with the term ‘divide and conquer’ as both the Roman and British empires put this tactic into practice. In order to maintain power and control, they resorted to turning the people against each another. Typically religion, language, or caste is brought into play to turn people against each another, thus making it easier for the would-be controllers to exploit and take control. They realised that people who are united would be able to oppose their rule. Creating or encouraging divisions among the subjects in order to forestall alliances that could challenge the sovereign. Aiding and promoting those who are willing to cooperate with the sovereign. Fostering distrust and enmity between local rulers. Encouraging frivolous expenditures that leave little money for political and military ends. As an example of divide and rule, the British Empire exercised the following tactic in Sri Lanka where hey made it mandatory for race to be indicated on official documents and forms. Does all this information ring an all too familiar bell? Does this all this seem to be happening around us? To us? To our loved ones? To our acquaintances? To our fellow citizens? It puzzles me that we hardly see ourselves as Burmese. Why do we identify ourselves as Bamas, Shans, Kachin, Chin, Mons, Chinese, Indian, Muslims and everything in between but never just as Burmese? I think these divisions have been implanted into our system over the years. Our minds, from a very tender age, have been tempered with and manipulated. We are all citizens of the same country, from the same vernacular although sometimes we refuse to see it. Who is to say that if someone asks for our rights which are due to them, that they should return to their country of origin? How is this logical when this is our homeland? We were born on this land, we are Burmese. We should not have to go to some foreign country to get our rights or to make it in life or to feel accepted. Nevertheless, this is the case here in this country and this is a serious flaw. This flaw in my opinion cannot be addressed unless we all see ourselves as Burmese, we unite, we love and respect each other and we demand equal rights for all. I strongly believe that this is not an impossible dream. My friends and I of various race, religion, colour, size, sexual preference, gender and so on and so forth have been able to discuss everything under the sun without inciting hate or getting offended so I’m sure the rest of us can too. In fact, I must add, we have grown so fond of each other that we love and respect a person for exactly who he or she is without holding against anything them. Doe’ Myae . . . . .”, so many times in school in full spirit though all the while we were being separated. Are we really going to sit around and take it? Don’t you think it is time we joined hands and embraced each other for what we truly are, Burmese? Based on that core, I have added alot of my remarks and facts about Burma. Even the Burmese opposition leaders and activists wish to maintain the status quo with the excuse of secularism, even refused to allow the Muslims to highlight their sufferings, Racial Discriminations and Religious Suppressions. Yes, it is true that I have a name that is common amongst Kenyan Muslims where my father came from and that my middle name is Hussein. 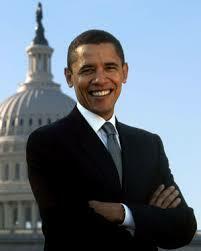 Barack is a name which means “blessing” and Hussein is a masculine form of the word beauty.